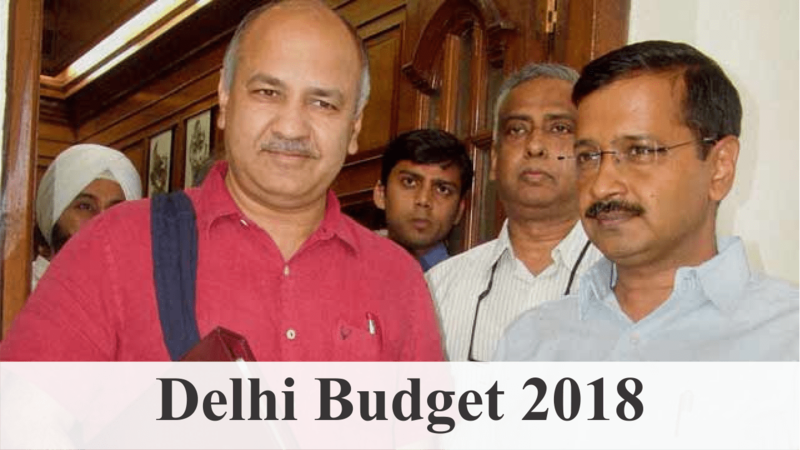 Delhi Budget 2018: Government allocates 26% of total budget on education. Out of the total Rs 53,000 cr budget, Rs 13,9997 crore has been allocated for education sector in the state. Government has increased the share of education from 23.5% of the total budget in 2017-18 to 26 % this year. All school managing committees will be given Rs.5 lakh each to strengthen libraries, arts education, says Mr. Sisodia. The government is planning to introduce Fix Deposit Schemes for students up to the age of 18 years belongings to SC, ST, OBC and Minorities category. “Mission Buniyaad” will be introduced to improve reading and Mathematics skills of students between classes 1 to 8 in months of April, May and June. Rs 175 crore will be allocated for installation of CCTV cameras in school buildings. A total of 1.2 lakh cameras will be installed. The government has allocated Rs 10 crore for self-defence training of girl students in Delhi. Rs 20 crore has been allocated for promotion of sports in schools. The government has also announced allocation of Rs 315 crore for setting up a world-class skill center in the national capital to train the youth in getting jobs. Rs.36 crore allocated for language academies, English academy to be started.